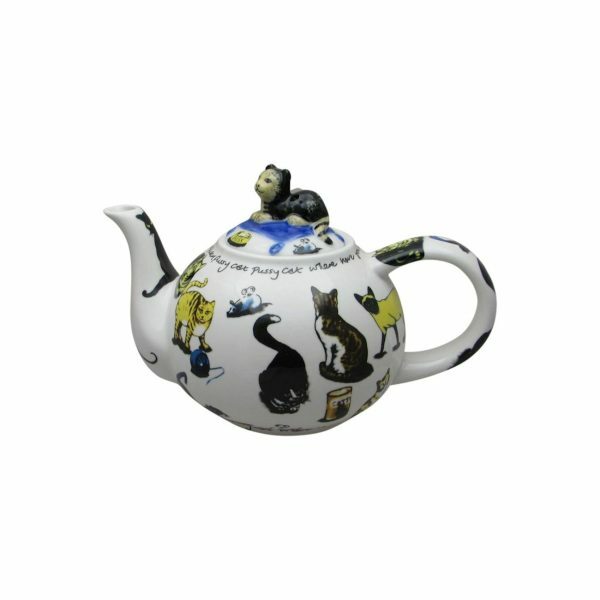 A Cat Tea Two Cup Teapot. Designed by Paul Cardew. 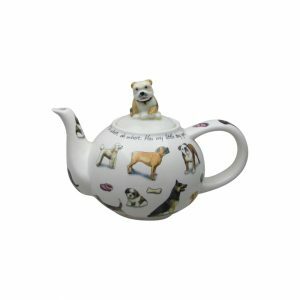 That has the the designs of different breeds of cats decorated around it. With a black cat sitting in top of the lid. It will be the perfect gift for any occasion for a cat lover. 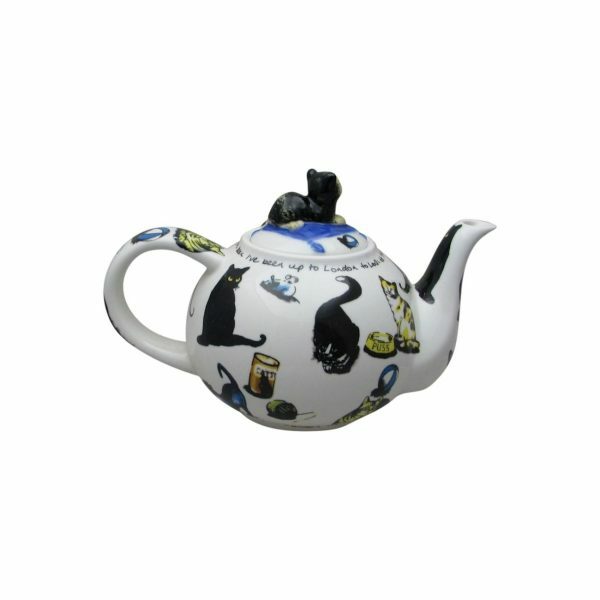 Our online price for the Cat Tea Two Cup Teapot is £25.00.